For State of Decay, the game has seemed to have nothing but good news since it launched. The game has sold incredibly well, and the team at Undead Labs have been hard at work on title updates. One of those updates that fans have been waiting for has been cooperative multiplayer. Jeff Strain, Executive Producer on State of Decay, made an announcement that fans of the game have been hoping to not hear. After evaluating the process of adding multiplayer to the game and taking every element into account, State of Decay’s cooperative multiplayer has been officially scrapped. Over the past few weeks we’ve been working with Microsoft to lay plans for the future of State of Decay, including future Title Updates, DLC, and possible sequels. As part of that process we’ve also been thoroughly evaluating the possibility of adding co-op multiplayer to State of Decay. While there are great things in store for State of Decay, unfortunately co-op multiplayer is not one of them. 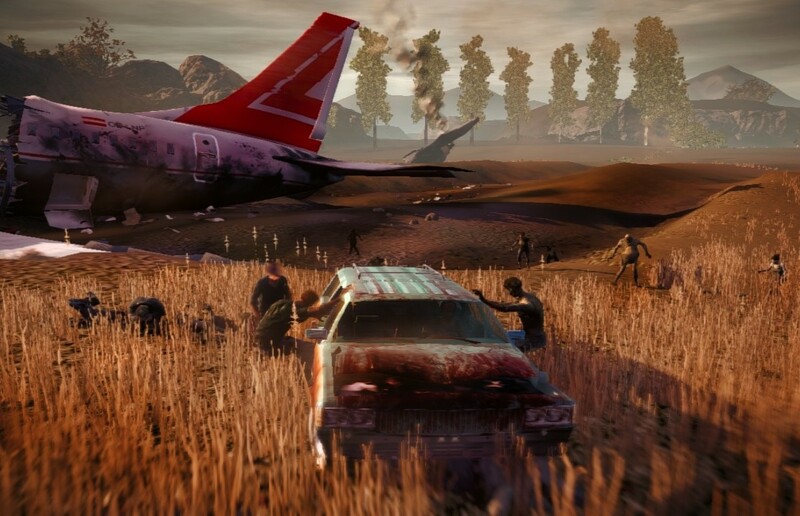 As many of you know, we had originally planned to offer co-op multiplayer in State of Decay. However, we had to make the decision to cut it during development, which we announced in our forums one year ago. The reasons were mostly technical, as we were up to our eyeballs trying to retrofit our game engine to support an open-world sandbox game rather than the FPS style games it had been designed for. That retrofitting would have extended to the multiplayer support as well, and we estimated it could have delayed release of the game by as much as half a year. It was a painful decision, but a necessary one given the realities of our team size and project budget. We could “check the box” and shoehorn multiplayer in sooner than that, but it wouldn’t be a great experience, and certainly not one we’d be proud of. It’s not simply a matter of adding the technology, but also redesigning core game systems to support multiple players, and then adding new content designed for people to play together. It’s easy to imagine how all that would come together — as many have said, the game is practically begging for it — but retrofitting the game to add that experience would take the rest of this year, and well into the next. Worse, it would preclude our ability to offer any other kind of support for the game, including Title Updates and DLC. We want to see a multiplayer State of Decay as badly as you do, but it’s not feasible to retrofit it into the existing game. That said, I can say definitively that co-op multiplayer will be the absolute heart of any future State of Decay games. As many of you know, we’ve always had ambitious plans for the future of State of Decay, and those plans have not changed. While it was no doubt a tough post for Jeff and the team at Undead Labs to make, fans of the recently launched game have to be a bit disappointed. It is encouraging, however, that Jeff mentioned that they’ll be ensuring that any future State of Decay titles will be designed with multiplayer being an integral part of the game. How do you feel about the cooperative element of the game being scrapped? Be sure to let us know what you think by leaving us a comment below, or take the discussion to Twitter and Facebook.